Bubble wrap bags are made of pliable transparent plastic material commonly used for packing fragile items. Regularly spaced, protruding air-filled hemispheres (bubbles) provide cushioning for fragile items. 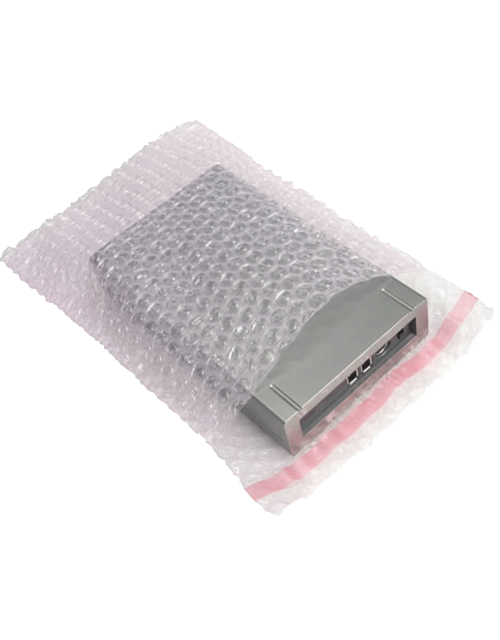 An antistatic bag is a bag used for storing electronic components, which are prone to damage caused by electrostatic discharge (ESD).